SALTOPIA Artisan Infused Sea Salts is a family owned and run business. Kimarie Santiago is founder and creator of the brand: SALTOPIA. The brand is dedicated to creating superior sea salt products while also encouraging the SALTOPIA lifestyle: getting back to the roots with families. At SALTOPIA, staff is encouraged to bring their children with them to the farms they support, to hand select the ingredients used to infuse SALTOPIA Sea Salts. An important focus for their company is to support sustainability by purchasing produce from local farms for their infused creations. SALTOPIA uses only naturally harvested sea salts from all over the world. We infuse a pure flavor by allowing the salts to absorb the natural juices and aromas that are extracted from hand selected herbs, fruits, vegetables, wines and other organic goods. While there may be other companies making "infused sea salts," they are extremely different because they use dry or dehydrated ingredients with little flavor. 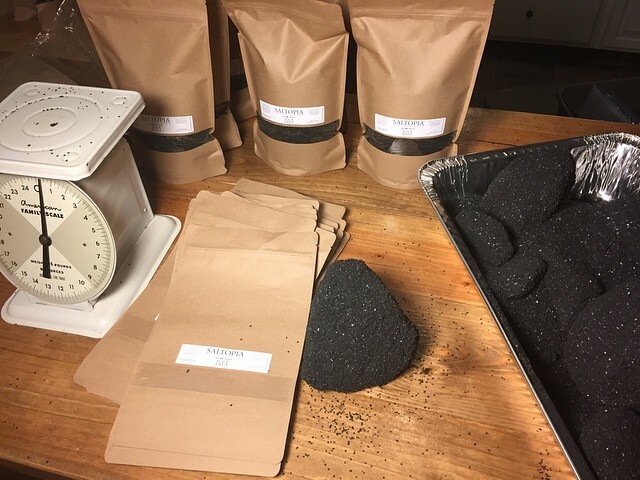 Each of SALTOPIA's unique sea salts has its own proprietary recipe that incorporates a chemistry of sea salt and pure flavor. 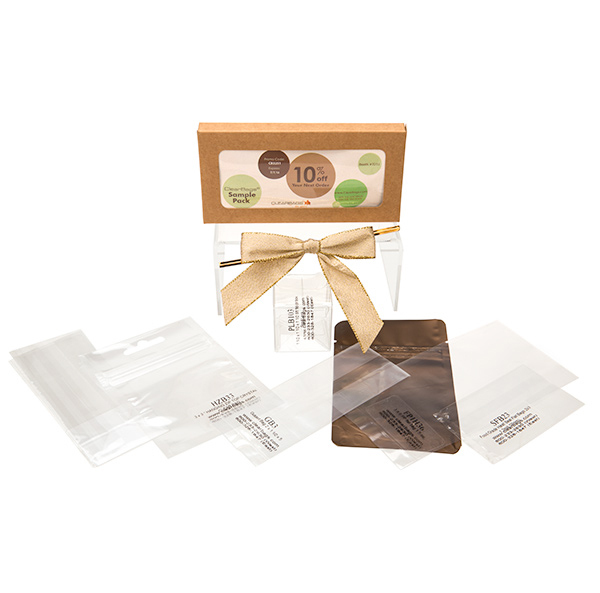 We currently use ClearBags™ boxes to make our products look BEAUTIFUL! We selected the 4" x 2" x 6" Small Clear Tapered Tote Box [FS279] to package each SALTOPIA jar along with a recipe card and a salt spoon. We also use ClearBags™ Kraft Stand Up Zipper Pouch Bags to bulk package our salts. We sell through privately owned stores, third party mail order catalogs, food distribution companies (for restaurants and food service), online (through our own website as well as partnered ecommerce websites), and our affiliate program. We’ve been ordering through ClearBags™ for about 3 years now. It’s been great – excellent service, custom created packaging and superior products. What one piece of advice would you give to other business owners? Listen to others advice. As business owners, we are “type A” personalities, which means we are most likely control freaks! It’s best to not tackle everything alone, but to take good advice from others. I listen to podcasts and other media outlets when I have time. My favorite topic is listening to other entrepreneurs. Our struggles are always the same: employees, capital, shipping costs, etc. It’s refreshing to hear their ideas on struggles we all have to manage as business owners! You can connect with us at our website SALTOPIASalts.com or on one of our social channels. If you step into any bakery, open a food industry magazine, or check out your favorite supermarket, you’ll see what’s trending--Cookies! From large retailers introducing specialty and gourmet options, to independent bakeries and brands cooking up the newest flavors and ideas, cookies are everywhere and at ClearBags, that’s a good thing! 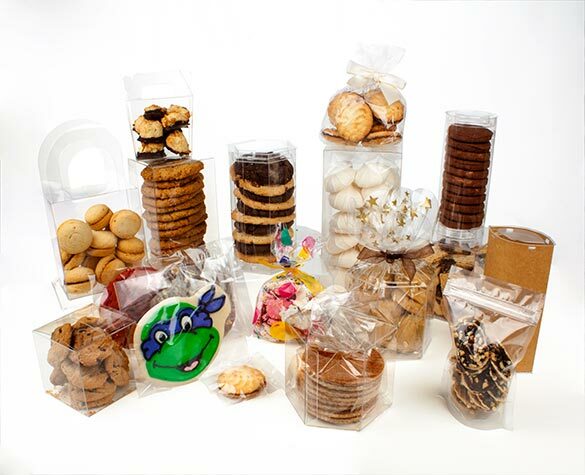 ClearBags has about as many packaging options for cookies as there are different types of cookies. With so many options, finding the right cookie packaging for you can seem overwhelming. We understand! The ClearBags team has dedicated an entire section of the website to help you navigate your choices. Spring is here! April showers bring our Red Stand Up Zipper Pouches! Red Stand Up Zipper Pouches – Exceptional retail appearance, resealable and easy to brand. Stand Up Zipper Pouches with a clear oval window allows you to showcase your product. These high barrier bags are 4.8 MIL, made of durable material and feature a strong resealable zipper. 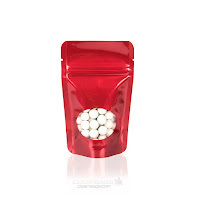 The self-supporting pouch design enables the package to stand by itself when filled. Stand Up Zipper Pouches have a tear-away notch that provides convenient access when the packaging is heat sealed for a retail setting. The resealable zipper helps keep products fresher for longer. Pouches come in six different stock sizes, all with plenty of room for branding. 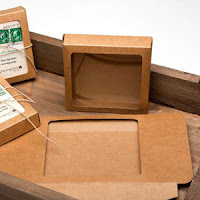 Throw a label on or have them custom printed for a beautiful branded experience. Click here to learn more about our Stand Up Zipper Pouch Collection. Below are this month's latest promotions. To received the coupon codes for our newest promotions please remember to sign up for our newsletter (Note: You must use a coupon code to activate the promotion). 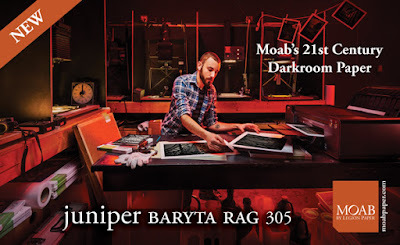 If you're interested in receiving a discount on Moab Paper, Zipper Pouches, or Vinyl products, sign up today. Our newsletters go out monthly, and we promise that we'll never spam your inbox. Hareline Dubbin is a premier fly tying manufacturer for fly fishing enthusiasts. ClearBags has been working with Hareline Dubbin for over 6 years to develop a consistent packaging look and feel across all of its product lines. They use our Crystal Clear Zip Bags and PE Zip Bags for their fly tying products to ensure their customers see what is most important: Their products. In the month of April we're attending APIC (Infection Control) in San Diego, CA. The show is from Apr 18 - 23 (Mon - Sat). As a wholesale supplier, we serve over 100,000 customers a year with 400-500 orders a day. We work with giants like Shutterfly™, Disney™ and Chrysler™, which may leave the question, where do I fit in? ClearBags is the right place for you. In fact, a large portion of our customers are working out of garages, spare bedrooms and small town main street shops. Many hobbyists, home crafters and bakers have discovered great value in what we provide because we offer our products in small volume quantities at wholesale pricing. We cater to a range of enthusiasts in a number of specialty fields. Collectors, whether they prize vintage albums or rare comic books, are turning to us for packaging. Our Album Sleeves provide a perfect fit for their record collections, our Crystal Clear Book Covers come in a range of sizes for their personal libraries, and our Comic Book Bags preserve their favorite childhood characters. 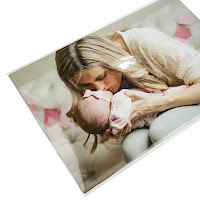 Our Acid Free/Archival Crystal Clear Bags® are used by photographers and artists enthusiasts to protect and store their photos and prints. When getting ready to display at craft fairs, artists will pair up our photo-safe bags with one of our backing board options to present their art all over the world. Is it time to organize the man cave? Customers have found that our zip bags are great for just about anything, from organizing hardware parts and pieces to making that warehouse store bulk purchase a little easier to divvy up. Many of our customers and employees use them daily for lunches and have found that our zip bags can be less expensive than buying them at the grocery store. If you’re jet-setting anytime soon, our Sliding Zip Bags are great for TSA regulations. We have sizes that work for everything from clothing to passports or even toiletries. For those who love the letterpress trend, we also have you in mind. Once you’ve made stunning cards, stationery and bookmarks you’ll want to make sure they’re protected. 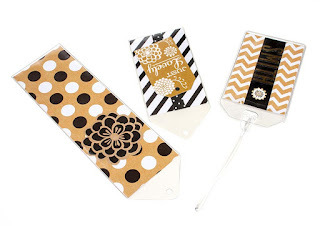 Many of our at-home stationery artists will use our vinyl products to keep their creations in pristine condition. 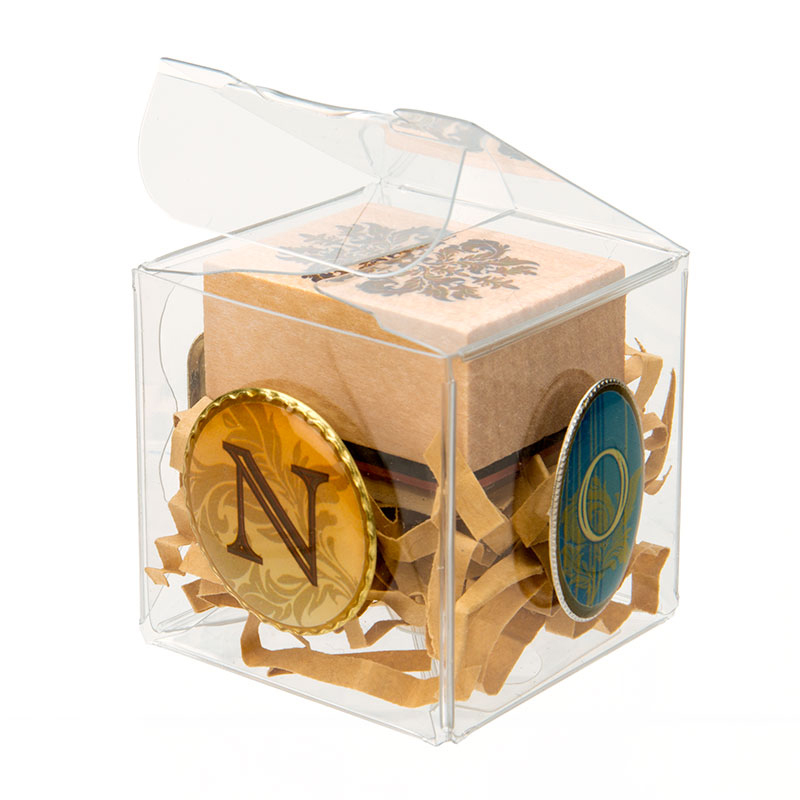 Also, many of our customers love to use our Crystal Clear Boxes® to present their card and envelope sets. Our No Flap bags are ideal for keeping the card and matching envelope together. 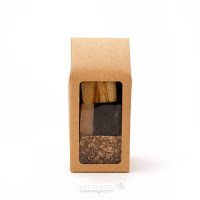 For you home bakers, we have several packaging options to improve the shelf life of your baked goods. Our line of Heat Seal Bags are ideal for keeping your cookies and other foods protected and helping them stay fresher, longer! Cupcake and Macaron Bag and Box Sets are ideal for gifts and favors and also have the benefit of keeping cupcakes and cookies fresher for a few more days. All of which makes for happy bakers and customers. Crystal Clear Boxes and Ornate Boxes are ideal for gifts and wedding/party favors. They come in so many fun and unique shapes, there’s sure to be one that will work with your next project. All the Clear Boxes and Ornate Boxes come in packs of 25, so there’s no need to buy mass amounts, and you still get wholesale pricing! Our Kraft bags and boxes are becoming some of our most popular packaging for crafters and hobbyists. With the Eco-friendly feel, they are geared towards those that would like to reduce their plastic use. Kraft products range from Standing Zipper Pouches to Pop-Up Tubes and can be used in a myriad of different applications. Our Accessories can help finish off your packaging presentation. This includes using our ribbon, pre-tied bows, or stretch loops. We carry a wide variety of finishing touches ranging in colors and sizes to help your packaging stand out. Remember, ClearBags has no minimum order, offers low pack quantities, and has the industry’s largest selection of in-stock packaging, making us the best choice for hobbyists, artists and at enthusiasts alike!